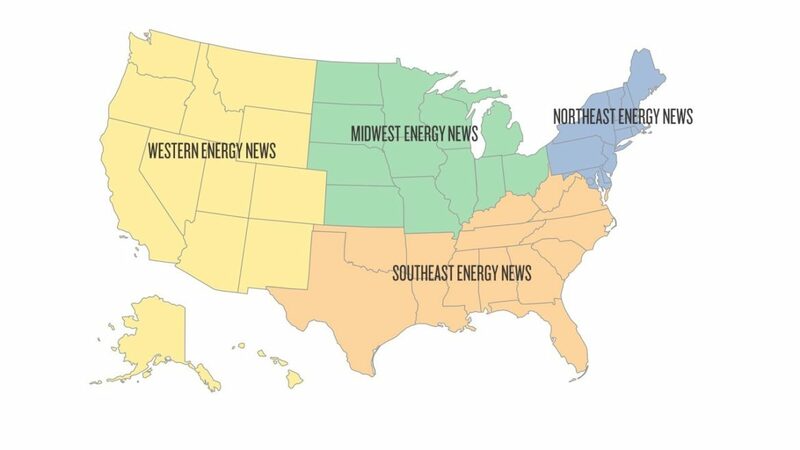 Launched in 2010 as Midwest Energy News, the Energy News Network now offers four regional services. Southeast Energy News began in 2015, and Western (formerly Southwest) and Northeast Energy News were added in 2018. Our code of ethics, drafted in consultation with an advisory board of journalism professionals, is posted here. In 2015, the Energy News Network became a member of the Institute for Nonprofit News. Southeast Energy News also receives general operating support from one anonymous foundation under the editorial independence conditions listed above. Your comments and suggestions are welcome — please contact us at editor@energynews.us. In addition to a daily email digest of the most important news stories from the region, the Energy News Network also publishes original journalism written by independent freelance reporters. These stories are available for republication by other news outlets via Creative Commons Attribution/No Derivatives license. Contact director Ken Paulman at paulman@fresh-energy.org for more information. Please note that this license does not cover articles that we republish from other publications, Associated Press images, and any other material governed by a separate copyright agreement. The Energy News Network publishes original reporting from experienced freelance journalists. Send your resume and three relevant clips to Ken Paulman at paulman@fresh-energy.org. No phone calls, please. We also publish occasional unpaid commentaries from experts in the energy field. These pieces must be timely, relevant and based upon factual information to be considered. The Energy News Network will also occasionally publish promotional commentaries on relevant energy topics for a fee. Banner ads and promotional links in our daily email digests are also available. For information on rates and scheduling, please contact Martina Holmes at holmes@fresh-energy.org. 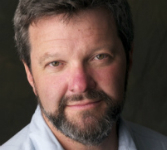 Ken is the director of the Energy News Network at Fresh Energy and is a founding editor of both Midwest Energy News and Southeast Energy News. 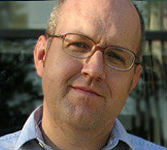 Prior to joining Fresh Energy, he was the managing editor for online news at Minnesota Public Radio. 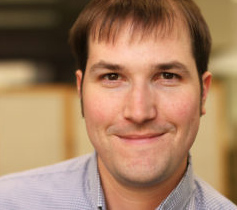 He started his journalism career in 2002 as a copy editor for the Duluth News Tribune, before spending five years at the Spokesman-Review in Spokane, Washington, where he worked as a copy editor, online producer, features editor and night city editor. A Nebraska native, Ken has a BA from the University of Nebraska-Lincoln and an MA from the University of Oregon. He is a member of the Society of Professional Journalists and Investigative Reporters and Editors. Dan has two decades experience working in print, digital and broadcast media. Prior to joining the Energy News Network, he oversaw watchdog reporting at the Sioux Falls Argus Leader, part of the USA Today Network. 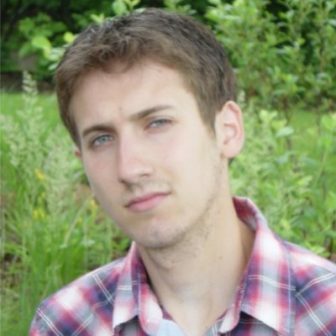 Dan is a former Midwest Energy News journalism fellow and a member of Investigative Reporters and Editors. He holds a Bachelor of Arts in journalism and mass communications from University of Minnesota-Twin Cities. 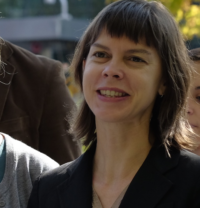 As the partnership coordinator for the Energy News Network, Martina helps engage new supporters, bring energy news to new audiences, and demonstrate the value of independent reporting on the transition to clean energy. Prior to joining Fresh Energy, Martina worked at Twin Cities Diversity in Practice and Enterprise Holdings LLC as the program/marketing coordinator and assistant branch manager. She has a Bachelor of Arts in public relations with a minor in marketing from Hampton University. 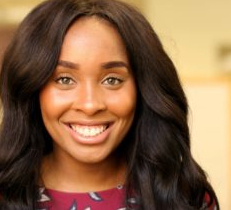 As the production editor for the Energy News Network, Lani edits and develops visual presentation of news articles and assists in executing social media strategy. Previously, Lani served as a copy editor, digital producer, and news designer at the Omaha World-Herald and as editor in chief at the Daily Nebraskan, the independent student newspaper at the University of Nebraska-Lincoln. Lani is a graduate of the University of Nebraska-Lincoln, where she obtained a Bachelor of Journalism. She is currently a member of the Nebraska Alumni Association and ACES: The Society for Editing. Kari has written for Midwest Energy News since January 2011. She is an author and journalist who worked for the Washington Post‘s Midwest bureau from 1997 through 2009. Her work has also appeared in the New York Times, Chicago News Cooperative, Chicago Reader and other publications. Kari covers Illinois, Wisconsin and Indiana as well as environmental justice topics. Karen spent most of her career reporting for the Kansas City Star, focusing at various times on local and regional news, and features. More recently, she was employed as a researcher and writer for a bioethics center at a children’s hospital in Kansas City. Karen covers Iowa, Missouri, Kansas, Nebraska and the Dakotas. 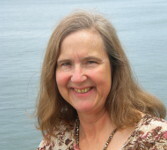 Kathi is the author of 25 books and more than 600 articles, and writes often on science and policy issues. In addition to her journalism career, Kathi is an alumna of Harvard Law School and has spent 15 years practicing law. 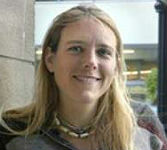 She is a member of the Society of Environmental Journalists and the National Association of Science Writers. Kathi covers the state of Ohio. Andy has been a journalism fellow for Midwest Energy News since 2014, following four years at City Pulse, Lansing’s alt-weekly newspaper. He covers the state of Michigan and also compiles the Midwest Energy News daily email digest. 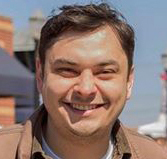 Andy is a graduate of Michigan State University’s Journalism School, and contributes to multiple publications on energy and policy topics in the region. Frank is an independent journalist and consultant based in St. Paul and a longtime contributor to Midwest Energy News. His articles have appeared in more than 50 publications, including Minnesota Monthly, Wired, the Los Angeles Times, the Minneapolis Star Tribune, Minnesota Technology, Finance & Commerce and others. Frank has also been a Humphrey policy fellow at the University of Minnesota, a Fulbright journalism teacher in Pakistan and Albania, and a program director of the World Press Institute at Macalester College. A contributing writer since August 2016, Elizabeth became a journalism fellow for Southeast Energy News in February 2017. A former director of communications for Environment America, she brings nearly two decades of experience in environmental and energy policy to her reporting, which has been picked up by the Associated Press, Utility Dive and others. She was born and raised in South Carolina, then in North Carolina’s foothills, and now lives in Raleigh. She covers the state of North Carolina. Elizabeth McGowan, reporter, Washington D.C.
Elizabeth H. McGowan is a longtime energy and environment reporter who has worked for InsideClimate News, Energy Intelligence and Crain Communications. Her groundbreaking dispatches for InsideClimate News from Kalamazoo, Michigan, “The Dilbit Disaster: Inside the Biggest Oil Spill You Never Heard Of” won a Pulitzer Prize for National Reporting in 2013. She covers the state of Virginia. Meg is a freelance journalist and audio producer based in Connecticut who reports on the environment, gender and media. She’s reported and edited for the Columbia Journalism Review, PBS NewsHour, Architectural Digest, MediaShift, Hearst Connecticut newspapers, and more. In addition, her audio work has appeared on WSHU, Marketplace, WBAI, and NPR. Meg covers Connecticut and Rhode Island. Bill is a freelance journalist based outside Albany, New York. As a former New England correspondent for RTO Insider, he has written about energy for newspapers, magazines and other publications for more than 20 years. He has an extensive career in trade publications and newspapers, mostly focused on the utility sector, covering such issues as restructuring, renewable energy and consumer affairs. Bill covers Maine, Vermont and New Hampshire. Sarah is a longtime journalist who covers business, technology, sustainability, and the places they all meet. She has covered the workings of small-town government in New Hampshire, the doings of alleged swindlers and con men, and the minutiae of local food systems. Her work has appeared in the Guardian, the Boston Globe, TheAtlantic.com, Slate, and other publications. Sarah covers the state of Massachusetts. Lacey Johnson, contributor, Washington D.C.
Lacey is a freelance journalist and photographer based in Washington, D.C. She started writing the U.S. Energy News digest in September 2016 and now writes the Northeast Energy News digest. She is a regular contributor to Greentech Media and Reuters, and her writing has also appeared in E&E News, Scientific American, the Chronicle of Higher Education and other publications. 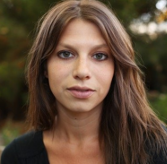 Lacey is a graduate of Columbia Journalism School, where she studied science writing and neighborhood reporting. 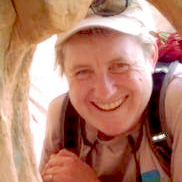 Kim McGuire writes the Western Energy News daily digest. For more than two decades, she has been writing about science and environment for newspapers around the country. Most recently, she was a reporter for the Houston Chronicle where she focused on NASA and environmental issues affecting Texas. Prior to that, she worked at the Minneapolis Star Tribune, the St. Louis Post-Dispatch, the Denver Post and the Arkansas Democrat-Gazette. She was awarded a Ted Scripps Environmental Journalism fellowship at the University of Colorado in 2004 and was part of a 2007 reporting team that was a finalist for the Pulitzer Prize. Lyndsey Gilpin is a freelance journalist based in Louisville, Kentucky. She compiles the Southeast Energy News daily email digest. Lyndsey is the publisher of Southerly, a weekly newsletter about ecology, justice, and culture in the American South. She is on the board of directors for the Society of Environmental Journalists. Covering the country's transition to a clean energy economy.